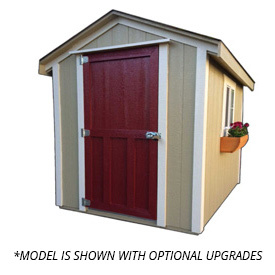 Add value to your home and fulfill your backyard dreams with one of our quality custom sheds. Each style is fully customizable, from the color of the roof to the height of the walls. If you can’t find exactly what you’re looking for, just let us know. 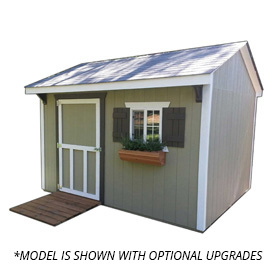 We can build basic and custom sheds, and will happily work with you to design and build the shed of your dreams. If your storage needs are minimal but you don’t want to sacrifice quality and style, the Gable is the perfect fit. The Gable has 6 inch full eaves that protect it from the weather and it is customizable with multiple wall heights & accessories. If you’re looking for value and functionality, then the Country Barn is the ideal solution! The traditional styling and extra overhead room, along with the ability to add custom accessories, makes the Country Barn a #1 hit. The Courtyard is our modern, stylistic version of the traditional “Salt Box” design. 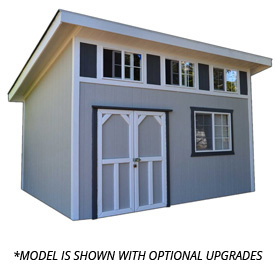 We make this popular multi-function building affordable and customizable so that it will meet your needs for years to come. 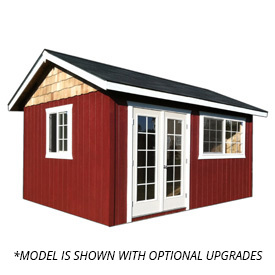 The Heritage was the original building that served the needs of our customers looking for an office, hobby room, or just a tasteful and well-appointed storage shed. When the Heritage debuted, it was unlike any other and it is a very popular choice to this day. The simple building that began as a solution to fit a small space on the side of the house just got a makeover. The options are limitless, and with outdoor decking, roof extensions, and many other options, you can really create the backyard living space of your dreams. We designed the Garden Cottage to look like a home away from home, and truly, it just might be for some of our customers! Undoubtedly, this building will be the jewel of your outdoor space, and you will be the envy of the neighborhood. PRE-BUILT & DELIVERED TO YOUR SITE - FAST DELIVERY! 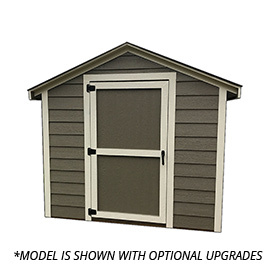 This ready-made shed is a simple choice, but will keep all of your possessions safe. 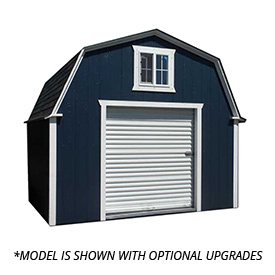 It is our customers’ first choice when it comes time to replace their rusty metal shed. 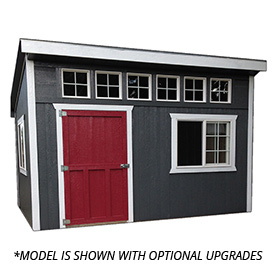 The Country Barn To-Go is the ideal solution for those who need a new backyard shed. 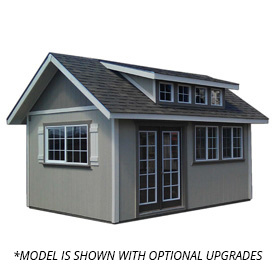 The traditional styling and extra overhead room makes this a prime choice for any homeowner. The simplicity of this building makes it a classic.This to-go shed can be very basic or made to match the contemporary style of your home. 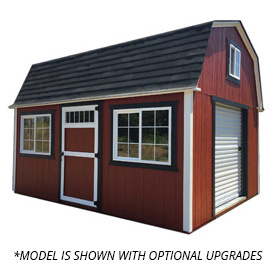 The Ready Built Slant is sure to meet any storage shed need.